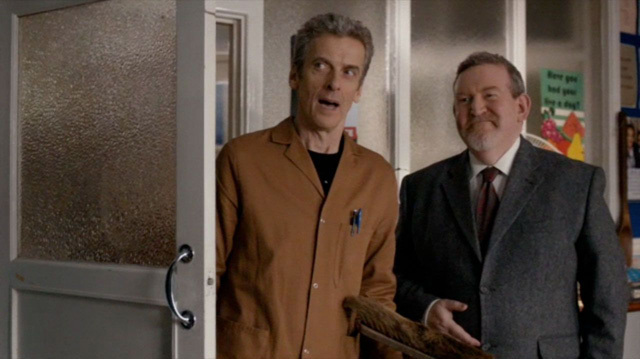 Doctor Who: Will The Doctor Attend Class? | Warped Factor - Words in the Key of Geek. 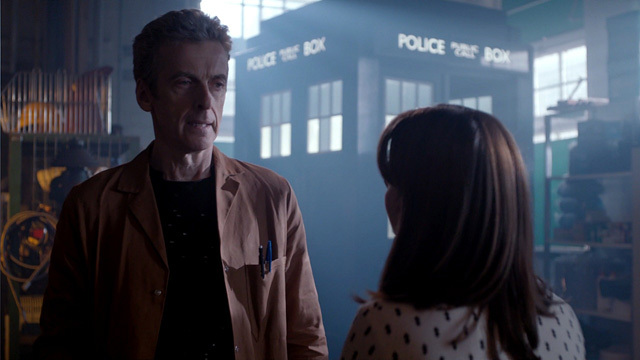 Doctor Who: Will The Doctor Attend Class? With the Doctor Who spin-off Class, penned by Patrick Ness, set to come to BBC Three later this year, and with Peter Capaldi rumoured to be in negotiations to appear as the Doctor, an intriguing and possibly radical change in structure from its parent show could be about to be realised in the corridors of Coal Hill School. IAN: Just let me get this straight. A thing that looks like a police box, standing in a junk-yard, it can move anywhere in time and space? They'd soon learn that its not quite as ridiculous as it first seems, though the Doctor would be ridiculed by Chesterton for a perceived lack of ability to pilot "the ship" as the young-looking old man would dub it. Of course, before being whisked away in time and space Ian & Barbara were both teachers at Coal Hill School, where the Doctor's granddaughter Susan was in attendance. The Time Lord would subsequently make return visits to the school in both his Seventh & Twelfth incarnations, his most recent stopover saw him take on the role of caretaker. If Class is set before or even during the events which saw him take on the job in Gareth Roberts' most recent attempt to introduce him to the enemy of many of those in the viewing audience - the nine to five shift - then it's not too hard to imagine him going about his duties taking on sinister puddles while observing the teaching staff & pupils battling threats to Shoreditch's finest, intervening only when absolutely necessary or even taking a similarly standoffish approach to getting involved as his First incarnation had. See The Aztecs for just one example of what life was like for him before he decided to go gung- ho & adopt a more cavalier attitude to such matters! Of course, Kill The Moon showed us what nearly happens should he decide not to muck in and get on with the whole business of saving the Earth. But perhaps a spell as a comparative passenger with the added distraction of a real job to get on with - after all the corridors won't magically clean themselves, plus there's a cover story to maintain - would offer someone else the chance to save the day as well as possibly acting as a backdoor method of trialing a new way of doing things for Doctor Who. And with a new showrunner soon to arrive in the shape of Chris Chibnall, writer of 42 & the reintroduction of the Silurians in the two parter The Hungry Earth / Cold Blood, what better time to try out a new broom in warming to the caretakerish theme? "The main character is someone brand-new. Because that’s what I want to see. I want to see somebody come up with something new. Lots and lots of brand new. The way I write books, is…. I know the last line of the book, and I already know the last line in the first season of Class. And I know there are things on the way that I’ve already written, or I can’t wait to write. So I’ve got all the episodes plotted out. I’ve got many many things written – and it’s really exciting!" Predictably he wouldn't disclose whether Peter Capaldi will actually be appearing in the series, but a ringing endorsement of Ness' credentials and his ability to write for the good Doctor came from executive producer Steven Moffatt. His writing has already graced the pages of the 12 Doctors, 12 Stories anthology in the shape of the Fifth Doctor story Tip Of The Tongue. Tip Of The Tongue casts the elder of the two Peter Doctors as more of a supporting character in much the same way as Class may well do with his latest successor in the role of the Time Lord. Whose menial job may prove a radical and indeed humorous distraction from the whole "alien invasion" thing! DOCTOR: It's assembly. You'd better get going. Go and worship something. CLARA: Are there aliens in this school? DOCTOR: Listen, it's lovely talking to you, but I've really got to get on. I'm a caretaker now. Look, I've got a brush. Could he even start out with a desire to make a go of things under deep cover before being drawn back into what he does best? COURTNEY: Course I can read. Read what? DOCTOR: The door. It says, Keep Out. COURTNEY: No, it says, Go Away Humans. DOCTOR: Oh, so it does. Never lose your temper in the middle of a door sign. A bystander with a difference, then.